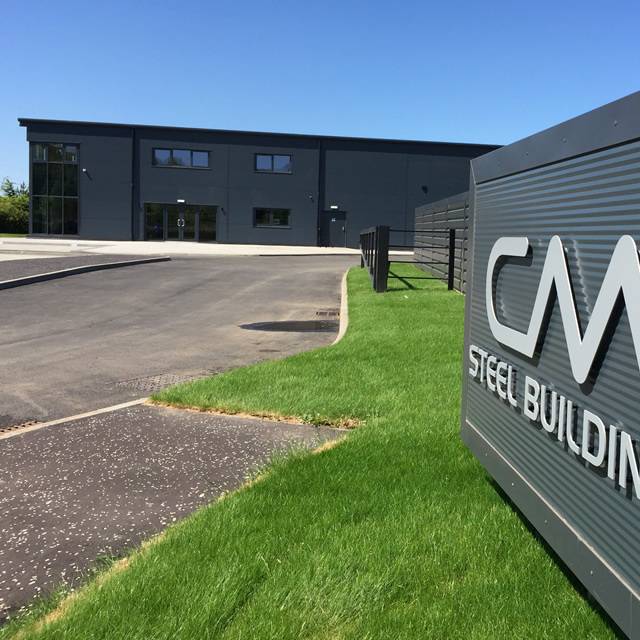 CM Steel Buildings was main contractor for their own head office facility, coupled with future development site, to complete the occupancy of Easter Inch Business Park, Bathgate. 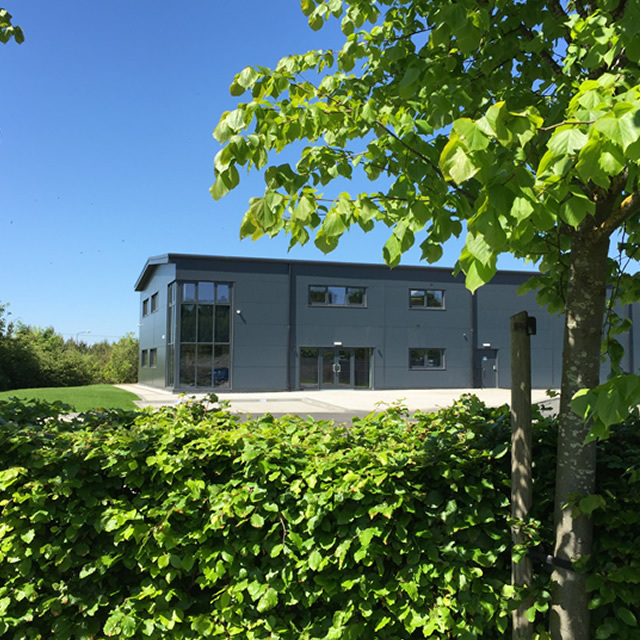 The brief was the vision of Managing Director, Chris McInnes, to deliver a fresh working environment for current staff coupled with expansion capabilities for the business's trading trajectory. 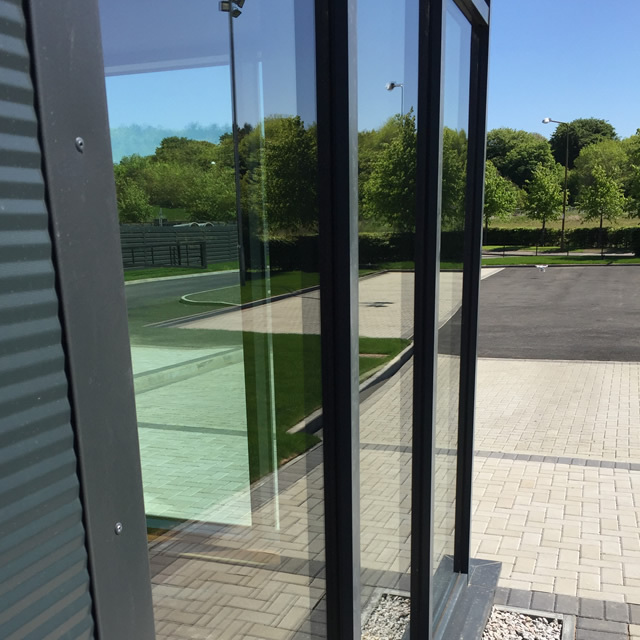 The building also acts as a showcase for CM who have employed both cold and hot rolled structural frame technologies. 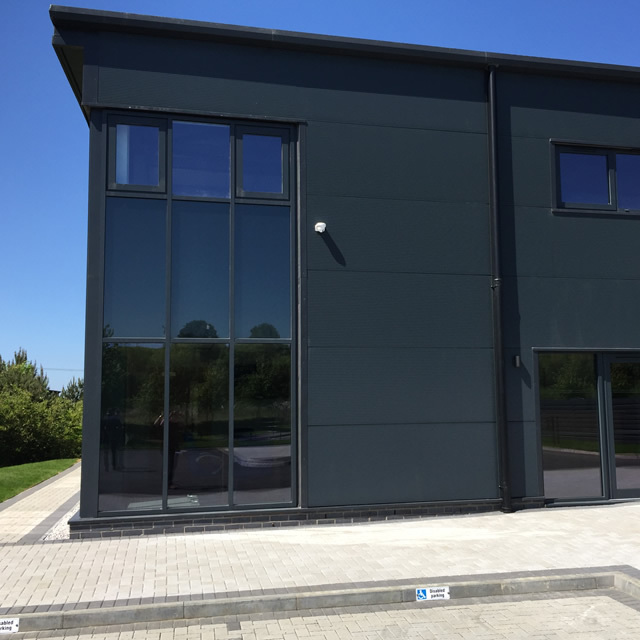 CM also incorporated architectural cladding as well as insulated composite cladding. The 1.1 acre facility comprises 600m2 gfa building - 6m to eave with 225m2 of office environment with the same waiting in mezzanine as and when required. The facility further benefits from a 375m2 of partially racked warehouse environment with 180m2 of external concrete yard.